Give Will Sheff credit. Handed a big budget for his latest album, the frontman for Austin indie rockers Okkervil River may have single-handedly propped up the Texas economy. On several songs, he’s deployed a 13-piece musical army consisting of two drummers, two pianists, two bassists, and seven guitarists, all playing live at the same time. Several other songs incorporate a string section, a woodwind section, a ghostly choir, and a tympani. It’s an audacious, ambitious, maximalistic approach, and in the process Sheff has reinvented the sound of his band. He’s figured out how to hold nothing back musically while remaining his quintessentially enigmatic self. It’s a neat trick, and the blusteringly bombastic and cryptically poetic meet in new and surprising ways on I Am Very Far. About that sonic reinvention: Sheff chants these words to a pounding, jackbooted rhythm, menacing synths, and swirling strings. What we have here is something much closer to the trashcan symphonies of Tom Waits than to the guitar-driven indie rock of previous Okkervil River albums. The guitars – even when they are piled atop one another, as they are on several songs – are used more for textural than melodic purposes, often erupting in skronking dissonance as the musical counterpoint to Sheff’s disturbing visions. 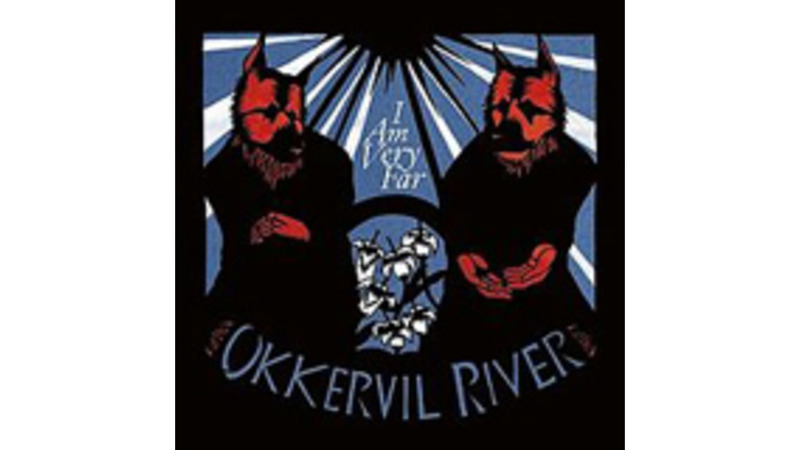 In other words, this sounds like no other Okkervil River album you’ve ever heard. Longtime fans may be initially dismayed, but the results are dazzling just the same. The Wall of Sound concocted by that big, big band is breathtaking in its intensity, and on songs like “Wake and Be Fine” Sheff marshals the strings, the pounding drums, and the cascading piano arpeggios into an irresistibly powerful maelstrom of sound. On “White Shadow Waltz” and “Hanging from a Hit” he backs off from the precipice and allows the songs to breathe a bit and flow more organically. It’s a welcome relief from the storm. But the real revelations on I Am Very Far occur when the furious bombast collides with the paranoid poetry and the existential dread. It’s Kafka meets Mahler at the hipster club, and it’s easily one of the musical highlights of the year.